Find your next vehicle at Bathurst Toyota, today! It’s a safe bet to say that there are few vehicle manufacturers that offer the security and the quality that Toyota does. That’s why when you’re looking for your next used vehicle this is a brand that you can trust. We want you to know that the care and inspection process that we apply here at Bathurst Toyota is such that we only accept the highest-quality models. We want to ensure that you find the used Toyota for sale that you’re looking for, all the while establishing ourselves as the authority and the dealership option that best embodies and reflects your needs now and in the future. At Bathurst Toyota you can expect quality service backed by departments that have the specialists and experts prepared and skilled enough to keep you on the road for years and years to come. Take a moment and look over our list of used Toyotas for sale online or stop by our store and speak with one of our experts. We’re sure you’re going to find what you’re looking for when you choose our team! We have a selection of used Toyotas that change regularly as we sell and add to our existing inventory. Of course, you can find a great selection of new Toyota models here, too – with financing options, services, and much, much more. We’re confident that you’re going to be able to find the model that has the right features and the driving style that puts you back on the road with confidence and with the feeling that comes when you know you’ve made the right decision – not only with your vehicle but with your choice in dealership. So, whether you’re after one of the ultra-affordable Yaris models or the impressive Corolla and Camry lineups – there’s going to be more reason than ever before to find the Toyota that’s right for you. We look forward to proving our worth and our reliability – when you choose Bathurst Toyota. From the quality and the consideration that has made the brand so remarkable on the world scene – to the dealership that has the staff and the trust that makes it easy and fun to find your next vehicle – you’re going to have a great time with us! 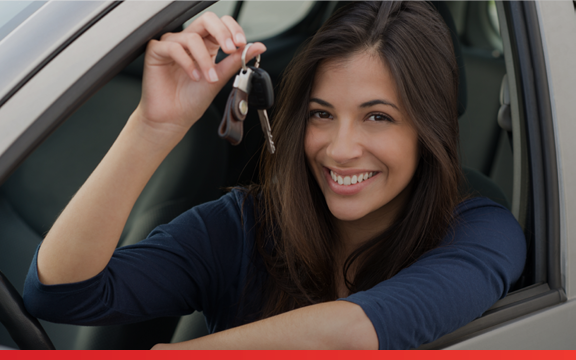 We have the used Toyotas for sale that you need – so let’s get you back on the road in the vehicle that’s right for you! Whatever you’re after – there’s a used Toyota for sale that has the features that will make your driving experience amazing. 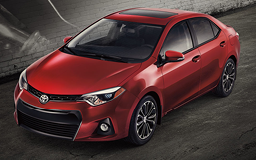 From the 1.8-Litre engine on the Corolla – through to the Camry with models that come with the powerful V6 – Toyota has really made their car division one of the most impressive on the market today. Let’s get you into the right used car – at Bathurst Toyota! 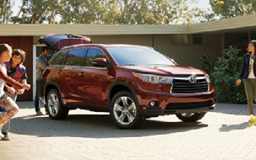 If you’re after a SUV – Toyota has you covered. With models that have been dutifully updated with the advanced features that make driving more fun and more reliable – you’re going to find what you’re after on the Toyota lineup. Take the RAV4 for a spin – and don’t be fooled by its size – recent models offer a towing capacity of 680 kg (1, 500 lb) – and this is where the SUV segment starts! The Highlander is definitely a vehicle worth your time and your consideration – especially if you have a growing family – with options that can provide 7- or 8-passengers with the comfort they deserve for any length of drive. 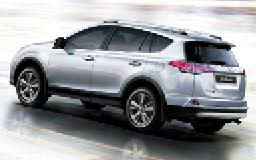 Choose between models that have AWD or FWD drivetrains. While you’re at it – take a look at the amazing Venza. Prepare to explore with confidence with either 4-Cylinder or V6 engine options, FWD or AWD drivetrains, and much more make this a great option for drivers that want more out of their next SUV. Like to get off the road and tackle the paths beyond? You’ll probably love the 4Runner then. This impressively and highly personalized SUV can make even the toughest trails seem like a cake walk. Want to dominate the world from your driver’s seat? Try the fully-size SUV that Toyota has really spruced up with technology and toughness – the Sequoia. 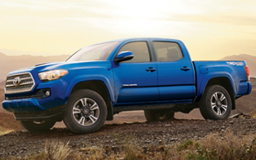 Now, we couldn’t touch on all the vehicles – like the Tacoma and the Tundra – but know that if you’re after a truck that Toyota has you covered. Find your model today at Bathurst Toyota! When it comes to finding a dealership that has the resources and the opportunities to help you get into the driver’s seat of the right vehicle or provide the maintenance that keeps you on the road for longer – trust Bathurst Toyota. Not only because our dedicated experts have earned us a reputation for going above and beyond, but also because you can be confident that we’re going to do more to live up to the Toyota brand. After all, Toyota’s history is one where products push against convention and elevate the whole automotive industry while they’re at it. We want you to have an experience that reflects this continued commitment to transcend what is expected and offer what you truly deserve. Located at 335 Murray Avenue in beautiful Bathurst, New Brunswick, we can’t wait to become your favourite dealership for all things Toyota!